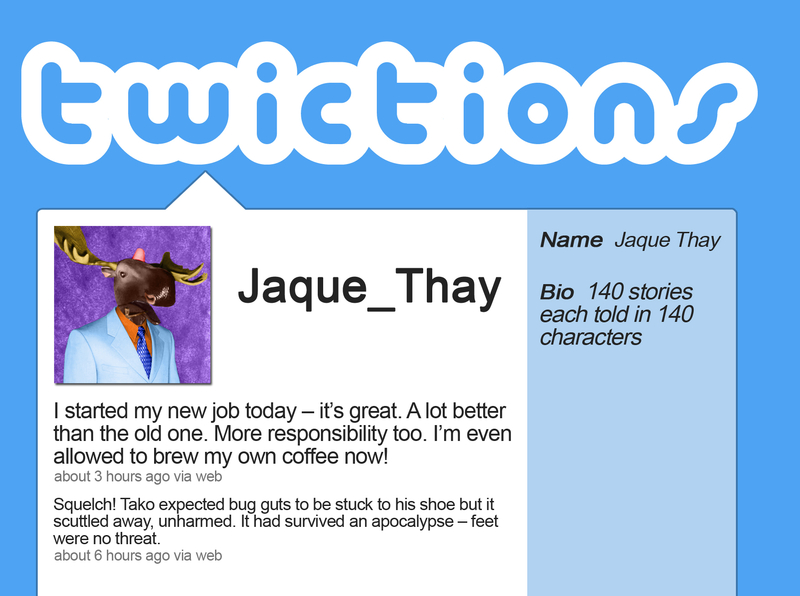 Cardiff based author Jaque Thay has been playing with the short story genre in his new book Twictions. The book contains 140 stories ranging from the dark to the absurd, but the stories have a unifying theme, that each one is only 140 characters in length. Thay is one of many creative people starting to explore the popular micro-blogging site as an art form. Edinburgh Comedy Award winner Tim Key rose in the popular consciousness through his tweeted poetry, and more recently tweeted fan fiction about NBC drama The West Wing has been making headlines. This exciting new medium (probably not twedium) throws up interesting copyright questions as to whether a tweet counts as a copyrighted work. One could argue that as ‘original literary works’ your tweets should receive the same protection as books and music tracks. However, consider that twitter comes with a re-tweet function which actively encourage users to share tweets they enjoy (whilst giving credit to the author), that both online and offline news outlets are increasingly incorporating twitter commentary into their coverage, the legal and moral waters become muddier and murkier.See The Bright Spark for an excellent discussion on this issue. It will be interesting to see how twitter and works of twiction are going to be covered in the Governments’ review of IP laws, which is due in April 2011.